Vitamins and minerals are essential nutrients that play hundreds of important roles in our body. Essential nutrients are nutrients the body unable to produce itself and it is therefore important that we consume these through our diet or through supplements. The function of the essential nutrients are everything from building up bone mass, heal wounds, strengthen the immune system, convert food into energy and to repair cell damage. Unfortunately it is not possible to get enough vitamins and minerals through our diet, which is why Eqology has developed EQ Essential. ESSENTIAL. With Mangosteen Extract, Açai, Aloe Vera and Green Tea extract, which are anti-inflammatory nutrients. These have all been found, in significant amounts, in diets linked to long-term health and longevity. Mangosteen is originally from Malaysia where it has been cultivated for centuries. Many consider this fruit to be the tastiest and most exclusive tropical fruit found. Mangosteen is harvested ripe because it cannot ripen after being harvested. The fruit is round, about the size of a tomato and can also remind you of a kaki with its petals on top. The shell is reddish brown, ca. 0.5 cm thick and leathery. The white pulp is divided into 4-6 boats reminiscent of garlic cloves. It usually includes 2-3 stones and is soft and juicy. At its very best mangosteen tastes as a wonderful blend of wild strawberries and wild raspberries. Polyphenols are believed to prevent inflammation and swelling, protect cartilage between bones and prevent wear and tear on joints. Mangosteen is eaten as it is, but the shell is hard and difficult to open with your bare hands. The best way to peel mangosteen is to cut through the shell at the center of the fruit, without damaging the pulp, and twist the two halves in opposite directions. The pulp is then easy to take out of the shell with a spoon or your fingers. Mangosteen has a high number of antioxidants and has been shown to have anti-inflammatory abilities as well as being beneficial to cardiovascular health. The fruit can also have a beneficial effect on disorders such as eczema and diarrhea. Aloe Vera first became generally known in the ’60s when the US was initiated a survey of the Aloe Vera’s properties and it was used in both skin care and health food. 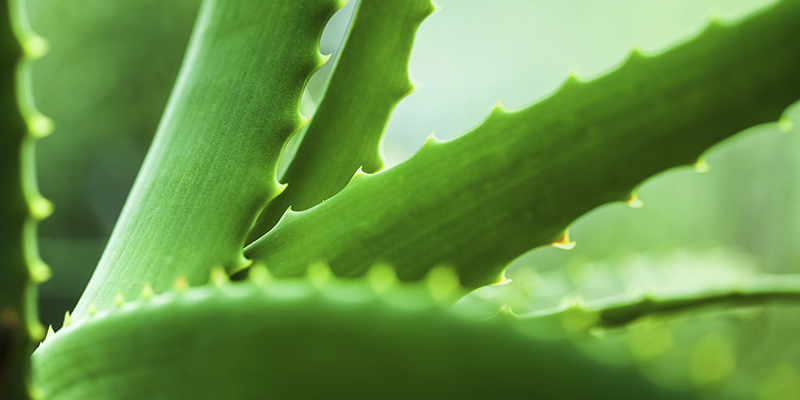 Aloe Vera reportedly was Cleopatra’s secret source of a wrinkle-free, smooth and beautiful skin. From there the popularity spread gradually to the rest of the world and the last 30 years there has been written and researched extensively on Aloe Vera. But Aloe Vera has been used for several millennia before this, it is said among other things, that Aloe Vera reportedly was Cleopatra’s secret source of a wrinkle-free, smooth and beautiful skin. It has also been shown that the plant contains over 70 known nutrients – among which we find 20 different amino acids (including 7 of the 8 essential), vitamin C, vitamin E, beta carotene and nearly all the vitamin B series, including the unusual vitamin B12 found only in two different plant varieties. Aloe Vera has shown to have a good effect on the epithelial tissue in the body, have a beneficial effect on the skin, support the immune system as well as acting anti-inflammatory, antibacterial and antiviral. meters high. When harvested acai berries are frozen down as quickly as possible before they are sent to other parts of the world so that as much as possible of the nutritional content can be preserved. In centuries the berry has been eaten by Amazonian indigenous people who discovered how nutritious and good they are. The healthy acai berry has also been used in the treatment of a variety of ailments among locals in parts of the Amazon. In the ‘90s the berries were exported from Rio de Janeiro after they had been picked and frozen. The first ones who began to consume acai abroad were surfers on the US West Coast who drank cocktails with açai fruit purée to stay in shape. After this the berry spread to other areas in the US and Brazil and then to Europe, where it has been recognized as socalled „superfood“. Açai is a special berry because it is so nutritious. Açai Berries contain vitamins B1, B2, B3 and E, but the berry also contains relatively large amounts of iron, magnesium, calcium and phosphorus. In addition to vitamins and minerals is the berry rich in beneficial fatty acids, including omega-9. Açai is also one of the berries that are containing the most antioxidants. Antioxidants are produced naturally in the body and are derived from the food we eat. Antioxidants are very important for our health in terms of fighting free radicals. It is claimed that the acai berry can strengthen the immune system, reduce cholesterol content in the blood and help delay the aging process. Green tea has been well known for a long time. Basically it was used as a medical drink, partly as a restorative remedy. 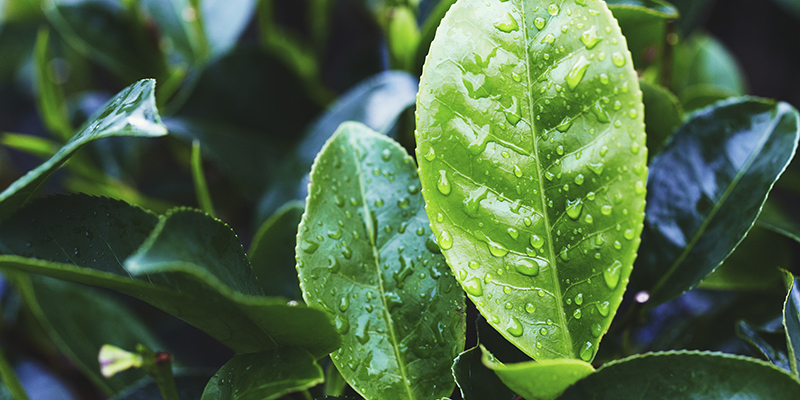 The various tea varieties of green tea, oolong tea and black tea are all made of dried leaves from the bush Camellia Sinensis. The peculiarity of green tea is that it is not fermented as black tea and oolong tea are. During production of green tea you stop the fermentation process by steaming the leaves immediately after they are picked. Then the leaves are rolled and dried in the sun or heat. This way a high content of polyphenols is being kept. Green tea contains antioxidants categorized as polyphenols. They are believed to be the main active ingredients in green tea, and scientists believe that polyphenols may have several positive effects in the human body. A particular polyphenol called EGCG is considered to have particularly good effect. Therefore, it is often those who are extracted and used as concentrate in supplements. Polyphenols are believed to prevent inflammation and swelling, protect cartilage between bones and prevent wear and tear on joint.